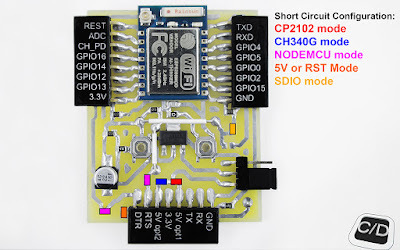 Getting the most from your ESP8266 with AESP One. 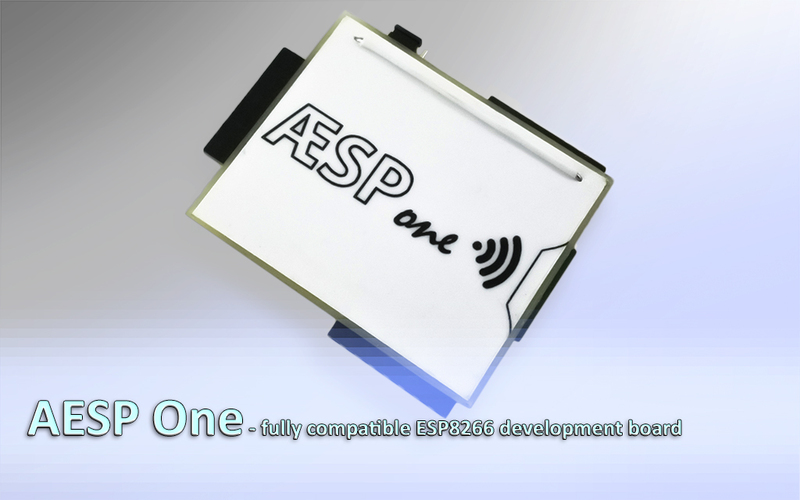 We're going to present our first release of AESP One, fully compatible development board based on ESP8266 module. 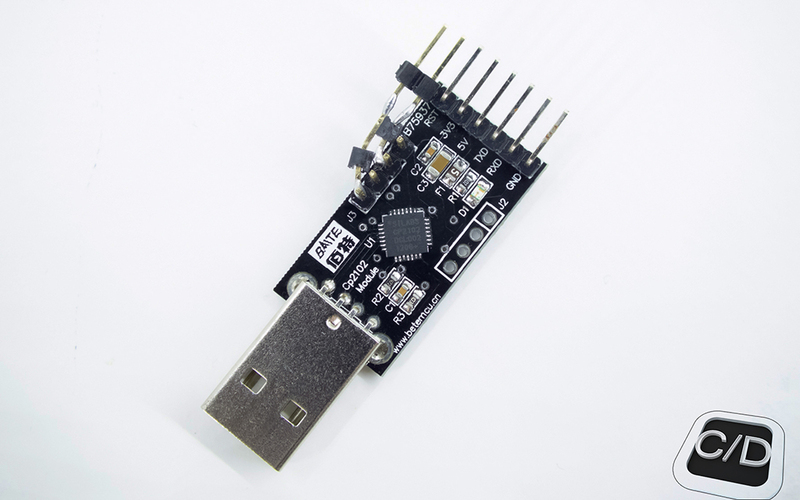 It's a project developed to be suitable with the most software and USB UART hardware available on the market, with the minimum of hardware production difficulties. 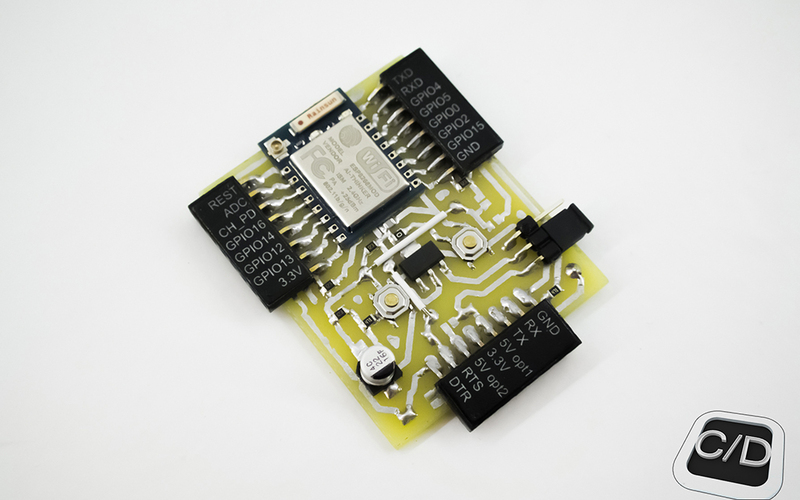 It integrates lots of other features such as GPIO, PWM, IIC, 1-Wire and 10-bit ADC all in one module board. The main characteristics of AESP One are a single PCB face that makes simple your PCB printing, fully configurable jumpers for your device integrations and an ease of use combined with a small form factor (useful to make mobile device). Follow the pictures of settings for both UART devices. 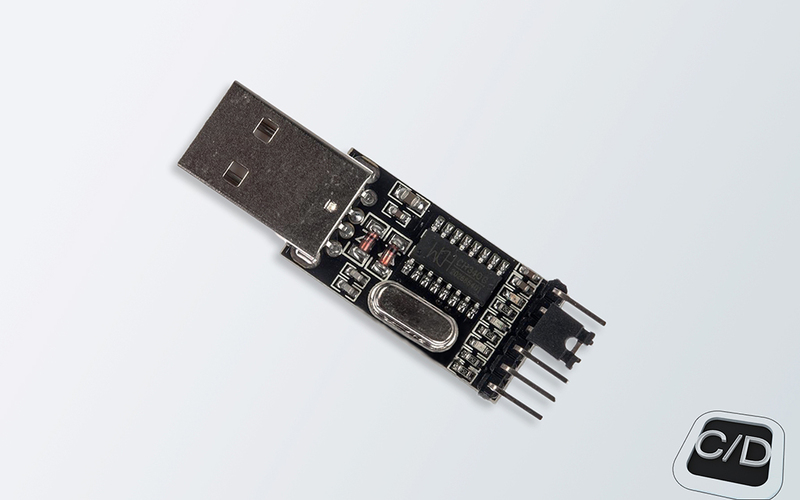 Once more, we provide a fully in-programming options to flashing the SoC, through the push buttons on board or through the RTS/DTR pins of your UART USB adaptor. Our external SPI Flash on module could be different from yours, it's depending on the ESP8266 you have purchased, in our case we have a 25Q40BT 4 mbit / 512 kbyte flash memory (it seems to be a standard stock). As wrote, you can find two push buttons, one to reset the board before (or after) to flash your program and one button to put the board in flash mode. It's available a jumper plug, on the right side, to disconnect the board from power source (UART USB adapter in our case) or to power on the device. The module chosen provides a WiFi antenna integrated on module (model ESP-07), but you can expand radius of coverage simply connecting an external antenna on MCX plug. All ESP8266 module's pins are broken out, flash memory pins apart. 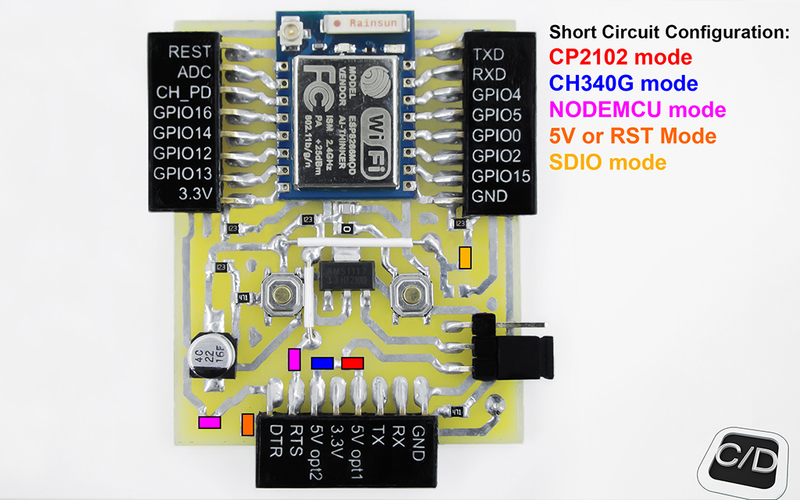 With the Arduino-compatible IDE it was brought support for ESP8266 chip to the Arduino environment. Advanced API for hardware IO, which can dramatically reduce developing times for configuring and manipulating hardware (we developed some libraries just for it). Event-driven API for network applications, which facilitates developers writing code running on SoC ESP8266 in Nodejs style. Greatly speed up your IOT application developing process. This concludes our intro to the project, stay tuned for future updates.